Have you ever thought of running together with your friends but never had the time? Perhaps you did have the time but not the ability to meet up with them physically. During training sessions as an athlete, you probably had some people to race against. But when you train alone who will you compete with? Or perhaps you are the kind of person who is lazy to exercise alone; however, when others are exercising with you it motivates you to move. Or maybe you just like to run and are looking for an application to track your progress. The geniuses at Intelligent Design saw these problems and decided to act on it. Their mission? To design applications that encourage users to exercise and have fun through gaming and virtual reality. Single Run allows the user to run as an individual in a single race. The application tracks the runner via GPS and tracks the progress of the racer based on the race length he chooses. 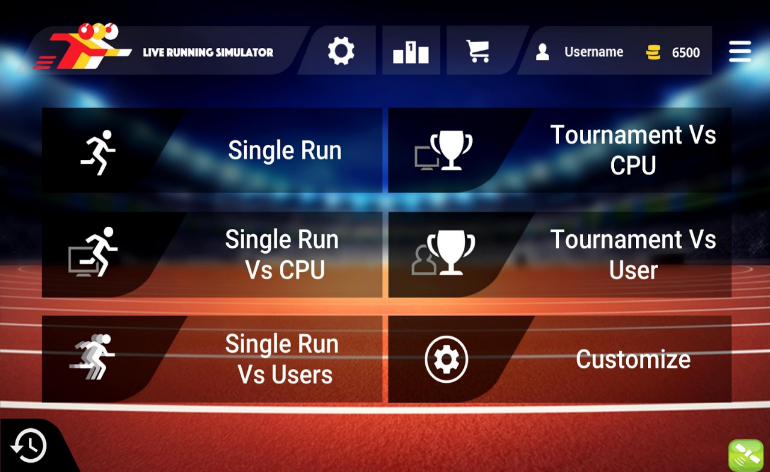 Single Run Vs CPU allows the user to run against computer generated opponents in a single race. Single Run Vs Users allows the user to compete with other players online. These players can be a user’s Facebook friends or even random strangers. Tournament Vs CPU allows users to compete with computer-generated opponents in a tournament race. Tournament Vs User allows users to compete with friends and strangers in a tournament race. There are many different race lengths users can compete in such as the 400-meter race, 800-meter race, 1,500-meter race, 3,000 meter race, 5,000-meter race, and the 10,000-meter race. With every distance, the application keeps track of your progress. It monitors your speed and the best time for each race length. Users can set difficulty level from amateur, semi-pro, to pro. After a match is over, users can view their progress and their standing against other racers internationally. Users earn coins after every race and can use these coins to buy items for their characters. This application is unique as it utilizes GPS, social media integration, and real-time tracking in order to encourage users to exercise. It also helps keep track of a user’s progress and helps set goals and train. If you want to lose weight, are looking for other runners to race with, or keep track of your progress, download this application from the Google Play store today!